Below are things for you to download to add to your site or blog, such as screenshots, buttons, and logos. To add the screenshots or buttons, simply copy and paste the code below the image into your site or blog. 420 x 420 screenshot of the Ignite Realtime website home page. 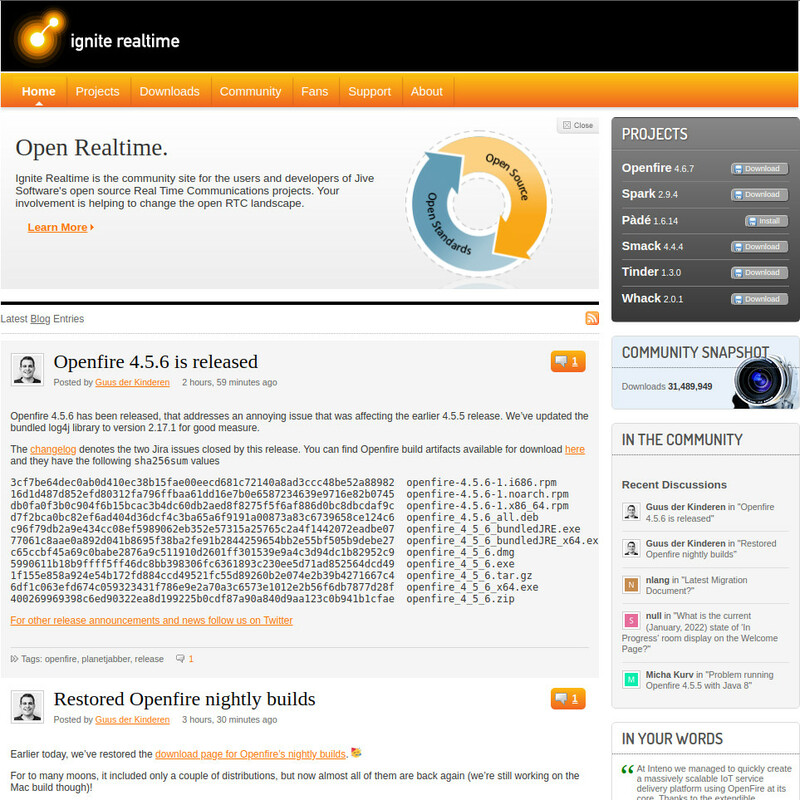 420 x 441 screenshot of the Openfire real-time communications server. 376 x 393 screenshot of the chat window of the Spark real-time communications client.